2M Mower & Tool is a leading supplier of high and medium pressure hydraulic Intertraco brand hose assemblies. 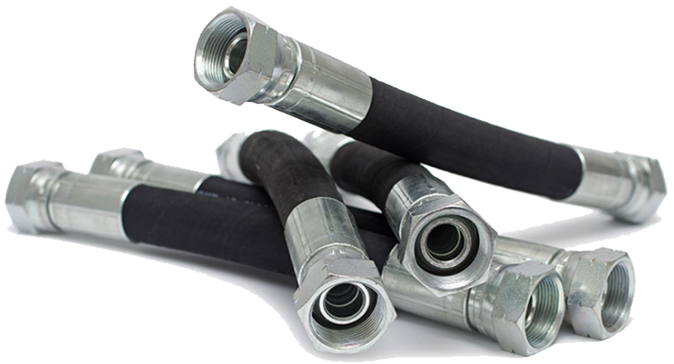 We offer a wide variety of Intertraco hydraulic hose products for any hydraulic application and are available in a broad range of pressure tolerances, materials, and fitting styles. Our outstanding inventory of high quality hydraulic hose ensures that we have the right hose to match your need and specification. We supply Intertraco hydraulic hoses that exceed SAE domestic and DIN international standards. Intertraco’s hydraulic hose features high strength construction, flexibility, and pressure stability during extreme operating pressures and pulsations. They are manufactured with hydraulic-oil-resistant inner-seamless-synthetic rubber tube, high tensile steel-wire-braid and fabric-mesh reinforcement layers, and in addition the outer layer is weather, oil, fuel, ozone and abrasion-resistant. 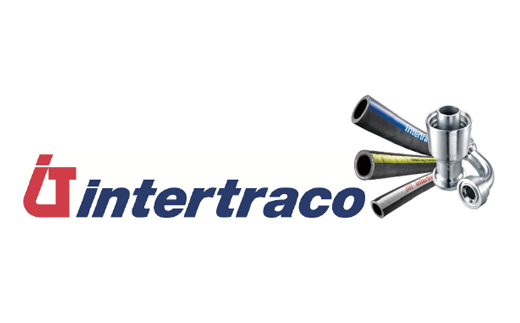 Intertraco makes diverse variety of fittings designed for use with all the Intertraco hoses. All hydraulic fittings are made in Italy from high strength carbon steel, maintaining a leak free connection and ensuring proper fit for most domestic and import equipment used in today’s market. The Intertraco “Supertuff Fittings” are chromium (VI)-free and resists 400 hours in salt spray fog environment. Laboratory tests carried out in compliance with ISO 9227 and ASTMB117, show a corrosion resistance 4 times higher than the standard: 400 hours compared to the 96 hours prescribed by the ISO Standard. We also have in stock a great selection of J.I.C., S.A.E., N.P.T.F., N.P.S.M., and O.R.F.S. hydraulic adapters to help you with a proper hydraulic hose installation and routing. We offer pre-made hoses on 25′, 50, and 100 feet length, or we can fabricate any length hose to your specification within the same day. Our hoses are high quality abrasion resistant for heavy duty use, ranging from 2400 psi to 6000 psi. They are extremely flexible, light weight and easy to handle. They can be used for hot or cold water and with most detergent fluids. 100% made in Italy.